To be rationally coherent, you’re not allowed to believe the probability of heads to be 0.6 while believing the probability of tails to be 0.5; the sum of chances of all possible outcomes must equal exactly one. 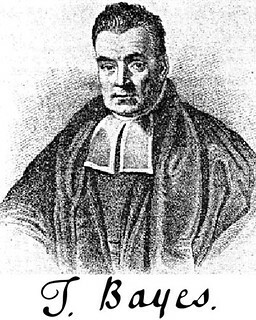 Further, for Bayesians, the logical coherence just mentioned (i.e., avoidance of Dutch book arguments) must hold across time (synchronic coherence) such that once new evidence E on a hypothesis H is found, your believed probability for H given E should equal your prior conditional probability for H given E.
I read your blog post today on Bayes and think I disagree with you on #6. Your concern is in the calculation of P(E), but in my experience that’s the easiest bit! One, you can use a base rate instead of breaking it up as P(E|H)P(E) + P(E|~H)P(H). Maybe you can just estimate the number of people who have ever met Hilary Clinton and use that to determine P(person has met Clinton) when you want P(going to be her running mate | has met her). But even more practically, it’s easier than that! You already know that your probabilities of P(H_1 | E), P(H_2 | E), … have to sum to one (for a bunch of Hypotheses H_1, H_2, etc). Forget the denominator in Bayes’s rule and then just normalize the probabilities at the end so that they sum to one (it’s the same denominator in each term). What about the obnoxious ~H catch-all none-of-the-above hypothesis? Well, much of the time you can ignore it in practice (you’re developing software to drive your tractor around the farm, the tractor is certain it has SOME position, even if it’s not sure where it is). But if you can’t ignore it, make it a separate hypothesis just like H_1, H_2 and proceed as before. Now using this you have to do the first method and estimate P(E) as a whole, but then you get this freebie added in that tells you if ~H gets big, then you’re missing something in your model of the world and somethings going off (which is a pretty neat thing for a formula to tell you!). And, so long as your getting nicely independent data sources (ugh #3 is the worst), minor errors in your estimates of P(E) don’t really matter. It all has to converge eventually with enough information.